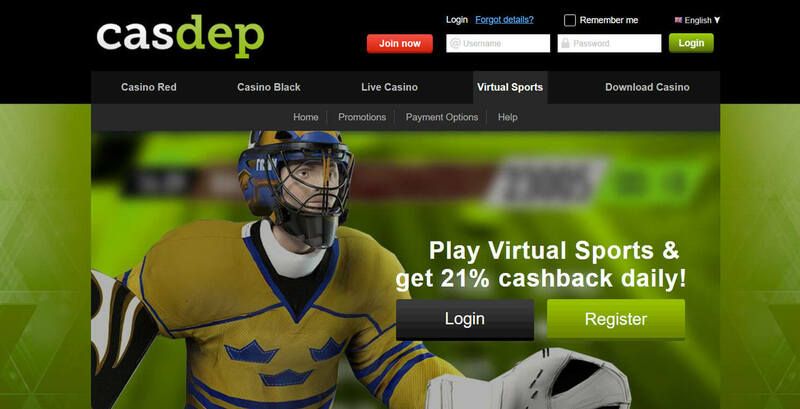 Casdep: Not the Best Virtual Sportsbook for Crypto and Fiat Punters? Casdep, a HighWeb Ventures N.V. owned Bitcoin gaming site, uses the White Label Casino and Lottery platform from 1ClickGames. The platform has a large gaming library made up of games from leading casino game makers. This betting site’s virtual sports offerings, though, are what will really attract the punter in you. Becoming a Casdep member will give you a large selection of betting markets and a variety of competitive matches. The virtual sportsbook is restricted in certain countries such as the US and China. Some of the casino games may also be unavailable to players due to country restrictions. You can see if you are not in one of the restricted areas by reading the terms and conditions of the gaming site or asking a live chat support agent. Regardless of whether or not you are part of the brand’s targeted market, are the virtual sportsbook’s offers good enough for your active membership? Know more by reading this review. 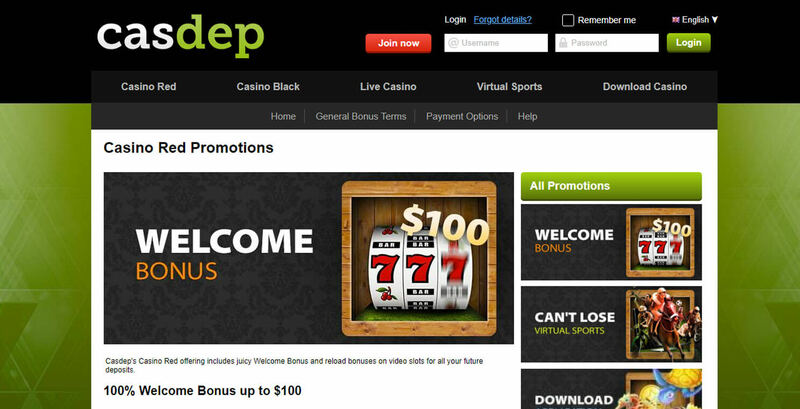 Casdep’s welcome bonus offer is for the Casino Red section. While there are crypto betting sites that provide a large number of Bitcoin sportsbook bonus, Casdep offers only cashback rewards. The sportsbook’s Virtual Sports Cashback promo has a simple rule. When you win your sports bet, you get to keep all of your winnings and use it however you see fit. When you lose your wager, the gaming site will give you back 21% of your losses the next day. Keep in mind that you need to bet at least €1 to get a cashback on your losses. Any amount you get from this promo is considered a rebate or a refund. This means that you can withdraw your bonus without having to meet a wagering requirement. The Virtual sports section is where all the wagering action happens. There you can find simulated football, table tennis, badminton matches. There are also horse racing, dog racing, motorsports, and cycling games. Each sporting event has 3D video to show you how every match unfolds. There are also betting markets for virtual events. In a football match, for example, you can wager on which team will get the first goal or bet on the first player to deliver the ball to the net. But in the racing events, the bets available are for who will place first, second, or third. You can learn more about the betting types for the different sports by checking the Help section. The limited virtual sports may give pause to punters who prefer live events over simulated ones. Another problem is how there are no way for you to change the odds to another format. The payment options available are provided by the 1ClickGames platform. The platform allows Casdep to accept both fiat and Bitcoin payments. With a decent number of payment options, you can easily find a way to fund your account. The minimum amount of €10 is reasonable enough for many you and other punters to make a deposit. If you used fiat money in playing and you want to turn your winnings into crypto, you will need to withdraw using Neteller. The smallest amount you can cash out is €25 and you can make a withdrawal only once a week. But keep in mind that Australian bettors can use only Visa to withdraw their winnings. Crypto punters may feel disappointed with the lack of cash-out options. Since they have use fiat money, Casdep punters need to pay more fees to cash out their winnings through any of the five available payment options. Fortunately, the minimum withdrawable amount is €25 which is favorable to sports bettors since other gaming sites set the minimum amount to €100 or more. Casdep: Is It Worth It? 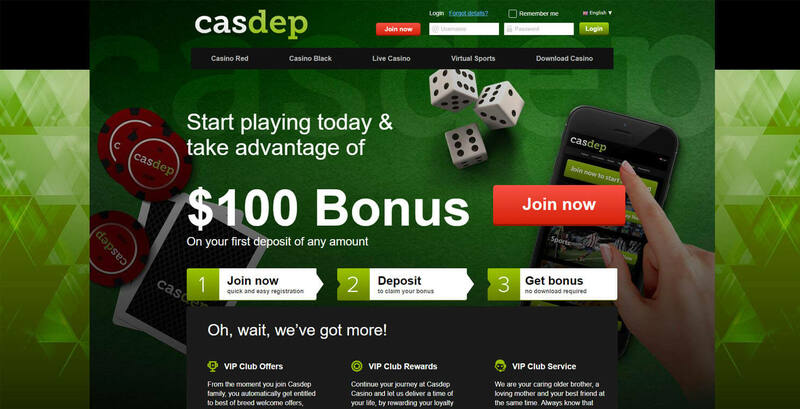 Casdep is difficult to recommend to punters because of its limited offering. The betting site pales in comparison with other Bitcoin sportsbooks that provide a betting market for both live and virtual events. Another issue is the lack of Bitcoin withdrawal options which will force crypto users to pay more fees for fiat services. On the other hand, the unlimited cashback promotion helps improve Casdep’s standing among other betting sites. The rebate you get from the promo is not tied down by any terms like a rollover requirement. Other sites only provide cashbacks for sports bet on specific periods while Casdep will refund your losses the following day at any time. Overall, the sportsbook may not appeal to you if you are looking for betting markets on actual sports or esports events. If you can look past the limited offering and enjoy the consistent safety net insurance for each bet through the form of a cashback, you might find Casdep to be worth your money.